Many of you asked that i make this thing, and just because it seems increasingly out of place to not have somewhere to classify all this artwork, i'm finally doing the thing. It's going to be tiring to upload these from my phone, but it'll happen, so don't worry if all you see at the beginning are the names of the things i've done. Eventually, pictures and descriptions will join them. I changed my mind about which Mobile Suits i post and which not. The new criteria will be known only to me. The initial post will be accompanied by the Zeta Destiny roster. Let's hope i don't have to make a second part of it. It would mean chaos. An old and rusty freighter that secretly served as the AEUG's placeholder flagship at the beginning of the First Neo Zeon War, to suffice for the lack of available Argama-class and Irish-class spaceships at the time, holding a team of five mobile suits on its very cramped cargo bay. Its origins are unknown, and its brethren all have no designation or model number, but they were most likely manufactured by shipyards on the Moon or space colonies for use in space, lacking many features considered essential for atmospheric escape and re-entry. 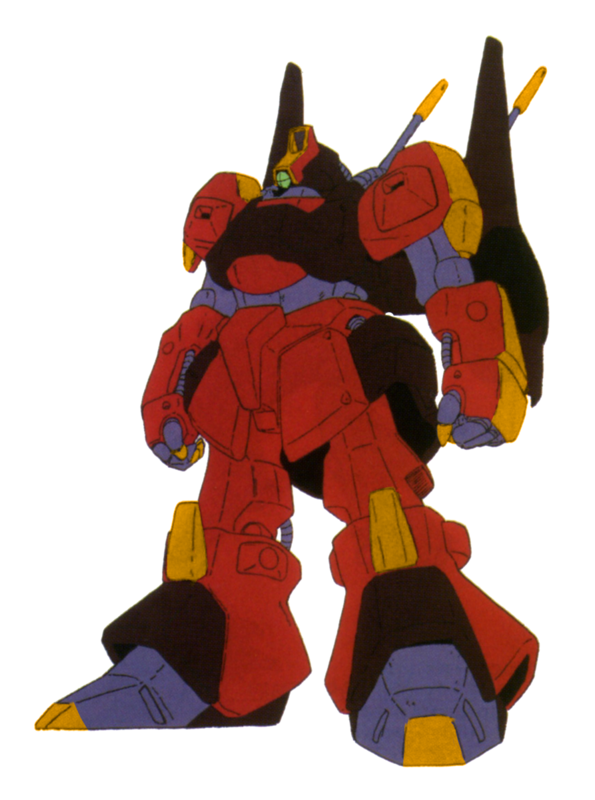 A Rick Dias used by the AEUG's Libot Team, seemingly lacking any upgrades from the base model. Initially painted in the later red standard colors, it would later get yellow accents on the sides and head. Three units existed in this configuration, all three used during the First Neo Zeon War by veteran pilot Ada Weiss and her two wingmen, Dapper and Hans. A GM II improved upon by the Earth Federation's engineers to better adapt to harsh arctic climates, with a small increase in performance due to upgrades on the materials used to avoid icing and minor software updates on rollout compared to the base GM II, making its systems less prone to crash after heavy damage to the circuits. 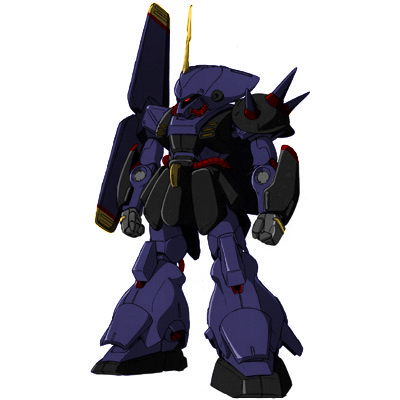 Created during the Gryps Conflict and considered outdated by the start of the First Neo Zeon War, one such unit that had been captured by the AEUG during the previous war, long after the Federation's discontinuement of this Mobile Suit, would nonetheless become Benjamin Alan Grimsdottir's personal unit after his swift rise through the AEUG's chain of command, due to the ensuing resource shortage. A Nemo fitted by Anaheim Electronics for training purposes, with various safety locks to allow the Suit to be remotely disabled by a supervisor if trainees fail to comply with orders during training exercises. 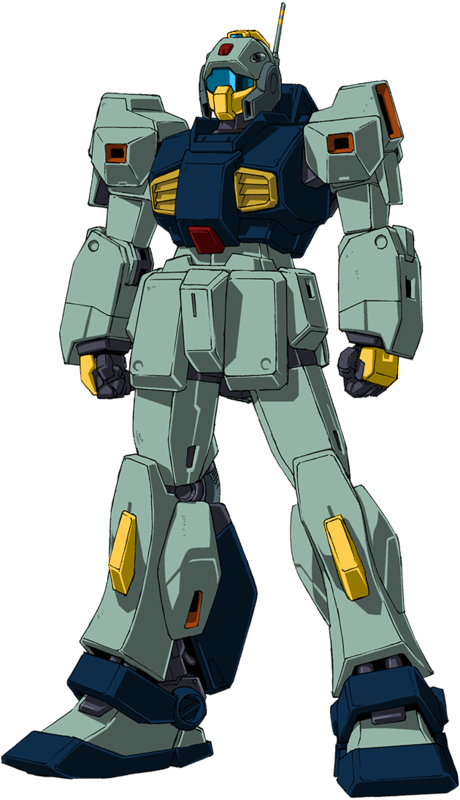 It can also be switched to the default operating mode of normal Nemos, which proved useful when the AEUG was in dire need of spare Mobile Suits at the start of the First Neo Zeon War, having their mechanics switch these units to default operation and using them like regular Mobile Suits. It was most famously piloted during said war by ex-Titans commander and ace pilot Ryder Sarka, armed with a beam sniper rifle, with his wingman Nicholas Lavie piloting another unit that would instead use the standard beam rifle. A regular GM II in service with the AEUG, it has very likely been stolen during the Gryps Conflict from Earth Federation Space Force facilities, before being painted on a white/green livery to tell it apart from its Federation-serving brethren. 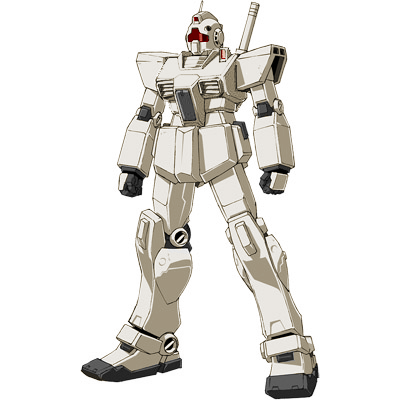 As of the First Neo Zeon War, it had become obsolete because of the presence of much more advanced Mobile Suits in the battlefield, but resource shortages managed to force a few of these back into service, both in the AEUG and the Federation, sometimes being assigned to mercenaries that could temporarily fill the void left in the Mobile Suit pilot rosters by the Gryps Conflict's massive death toll, with more advanced grunt suits being reserved to the use of actual members of the standing force. 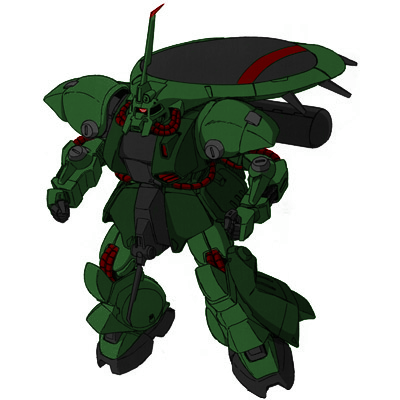 An EWAC Zack in service with the forces of Axis Zeon, it has been ''requisitioned'' from the Earth Federation in a similar manner to the GM IIs in service with the AEUG. 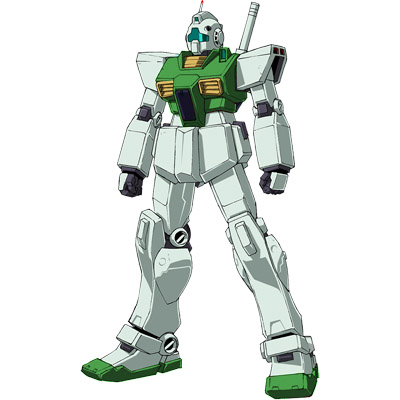 While boasting no further upgrades from the base EWAC Zack, it has been painted by Axis Zeon's mechanics in a green hue, in an attempt to return the Federation-manufactured Mobile Suit to its roots with a respectful homage to the Principality of Zeon's iconic MS-06 Zaku II. 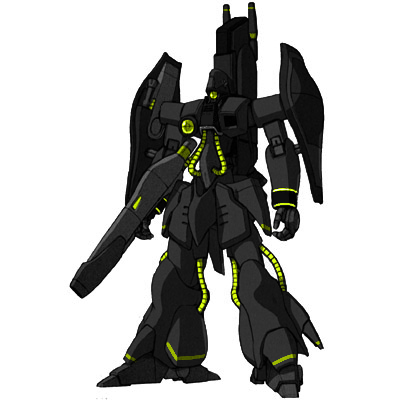 A Gaza-C painted in a jet-black with lime green color scheme by its pilot, complete with matching optics, it would be the first Mobile Suit of Axis Zeon pilot Artemis MacGriever during the First Neo Zeon War. While the black paint is certainly stealthier than that of regular Gaza-Cs and their hot pink bodywork, the green accents and cables still turn a lot of heads when it is actually spotted. 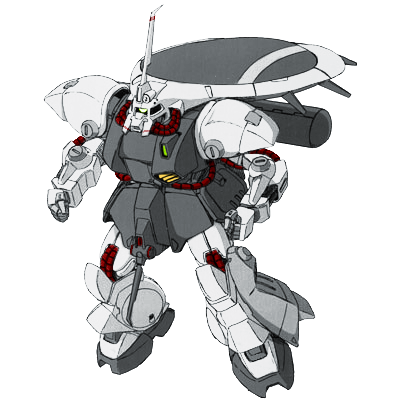 An EWAC Zack in service with the Earth Federation Forces and the Earth Federation Space Force, painted by default on a white and black color scheme reminiscent of old Airborn WArning & Control System airplanes used prior to the invention of Mobile Suits, which can still be found at air and space museums. 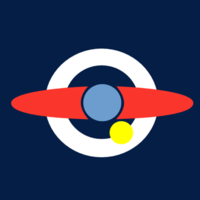 This default paintwork was introduced by the Federation shortly after the Titans disobeyed the Federation's orders to disband, to differentiate the EFF's EWAC Zacks from Titans-operated units. This policy would later be applied to lots of Mobile Suits that were commonly associated with the Titans but were not to be scrapped, in an attempt to rebuild the general public's trust in the Federation. A Marasai operated by organized remnants of the once all-mighty Titans. It has been painted in the colors of its new faction, which frequently use it to revolt against the Earth Federation for its ''betrayal'' of them, among other nefarious means, such as hijacking unsuspecting space freighters for their supplies. Man, I love this. You're so talented!